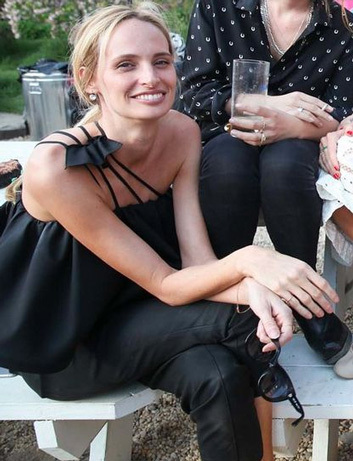 I've long been lusting for Vika Gazinskaya's cropped top, beloved by fashionistas far and wide, including Leandra Medine and Lauren Santo Domingo, below. But the steep price tag? Not so much! So, I was quite delighted to come across this piece by Nicholas, which has the same asymmetrical detailing, breezy volume and outfit-making punch!